It is available in varying lengths of 450 mm in width. Ladders special brackets attached to the roof or wall. 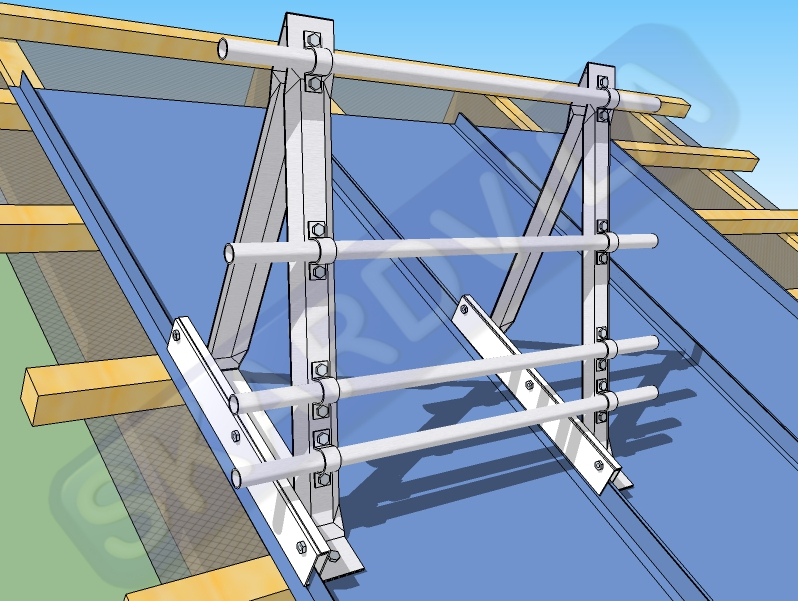 Is used to safely reach above the rooftop chimneys, TV antennas, air conditioning and other equipment. 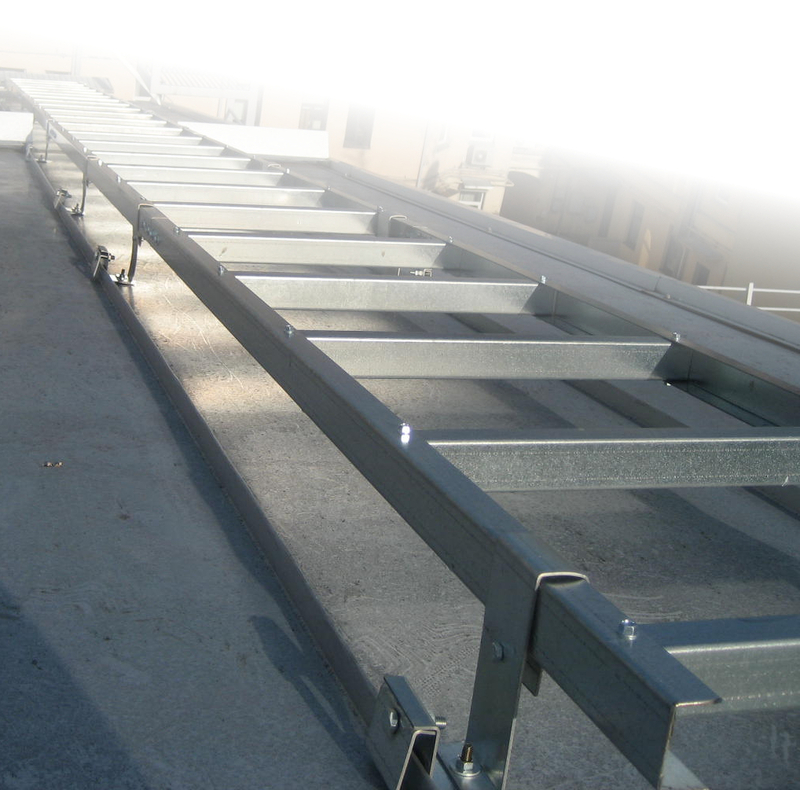 Roof ladder made of 2.0 mm thickness galvanized steel, wall ladder made of square tube 40x25x2 mm powder coated. Tubular snow breakers are made of hot-galvanized steel. Snow breakers are available galvanized and powder bake painted. Depending on your climate zone, determined by snow barriers points, preventing slice snow from the roof surface. Snow traps should be installed approximately 1 m from the eaves line. Depending on the abundance of snow and roof shape, snow barriers can be combined into a continuous or segmented traps. 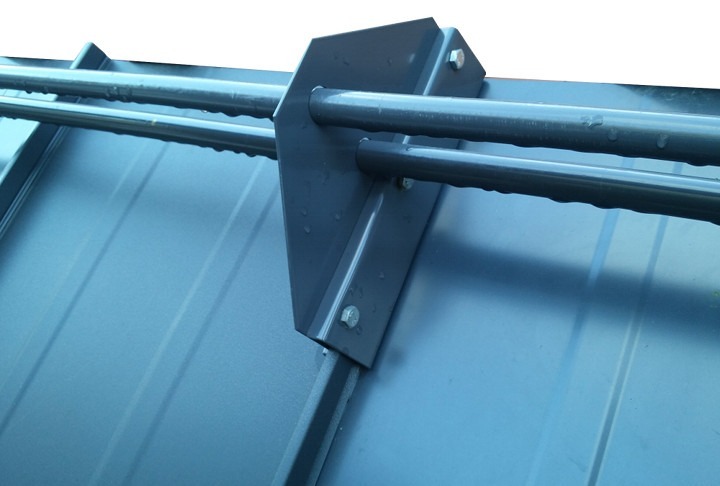 It consists of two 22mm diameter steel pipes, with special brackets mounted on the the roof structure or roofing. Used on the roof of the accumulated snow mass detention and crushed. 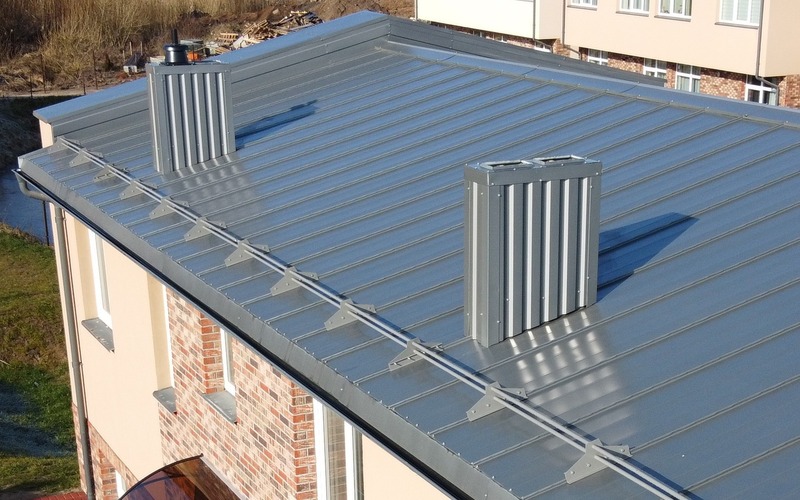 Suitable for use in a variety of structures and coatings for roofs. Produced of 2.0 mm galvanized sheet steel and powder-coated. 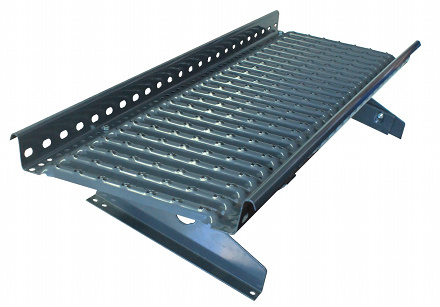 Bridge width - 300 mm, maintaining a safe weight - 180 kg. Produced of 2.0 mm galvanized sheet steel also powder coated. Available with handrails. Available in two, three, four tubes made of 2.0 mm galvanized sheet steel availabpowder-coated. One product has two functions, pipes at the bottom keeps the snow.